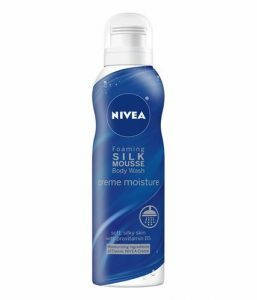 Home | Bath & Body | Nivea Body Wash Line Reviewed: Safe For Skin? Body wash is a product primarily meant to provide the body with moisture. Normally, it is a concoction of water, cleaning agent, and some fragrance. Not all body washes are created equally, though, as is the case with many personal hygiene products. Nivea is one of the oldest players in the personal care game, and it has been around since 1911. For those of you who, like me, have issues with simple mathematics, I will simply say that this company (of German origin) has been around for over 100 years! You can’t stay in this business for over 100 years without having the products to back you up. And Nivea certainly has one of the best lineups around. 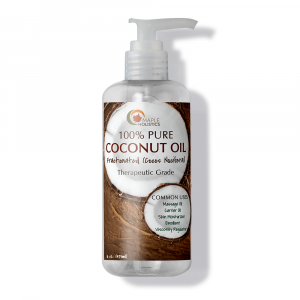 One of their most popular products – or so I think – is their body wash series. Liquid soap is not just a more hygienic way to clean yourself (rather than reapplying the same bacteria-filled bar onto your body), but it foams up nicely too! So what makes Nivea’s body wash different from all the rest? Nivea’s line of body wash products includes a couple dozen or so different bottles, each comprised of ingredients to help you achieve whatever it is you’re going for when you use it. It sounds fairly simple, at a glance. Aren’t they over-complicating what should be a simple process? I mean, what is there to think about? You get into the shower, lather up and then rinse off, right? Wrong! People have very different needs when it comes to personal hygiene. We don’t all look for precisely the same thing when we get under that shower head or into that bathtub. Some of Nivea’s body washes are for men, some for women. There’s something for those who are looking to wake up in the morning and get on with their day, and others are looking for a way to seriously take care of their skin. 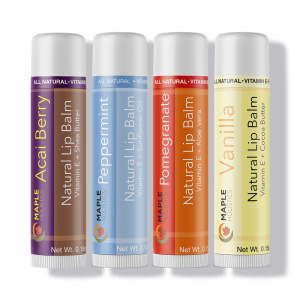 Some are looking for something more gentle like a light cream, while others are in need of intense oil treatments. Nivea’s line of body washes covers it all, pretty much. Let’s take a closer look at some of their most popular and best-selling washes..
Nivea Silk Mousse body wash. The ability to get into the shower and clean yourself adequately may not be as easy as once thought. If you use the wrong type of product, you could potentially end up in a worse position than you were when you were outside the shower. (I am talking about people with sensitive skin, more than anyone else). The skin is our largest and most blatantly external organ. It covers our entire body, and as such it demands special attention. With this in mind, the silk mousse body wash is designed for those with sensitive skin, who may not want to use harsh detergents and cleansers. Silk mousse is the right name for this wash, I can tell you that right now. It goes on so very smooth, whether you’re using a sponge/loofah or not. This mousse wash has a wonderful scent, and it gets the skin all creamy and clean. 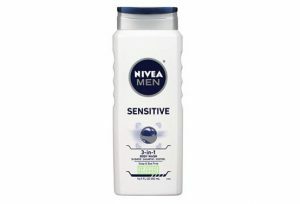 Nivea has several men’s body washes in their catalog. The thing about this line of products is that many of them are 3-in-1 type products, incorporating shower, shampoo, and shave. This is something which I found to only partially work. It’s a kind of “jack of all trades, master of none” situation. I don’t use 2-in-1 or 3-in-1 products if I can help it. The body, face, and scalp are different, and they often – though not always – require different kinds of treatment. If you are into the 3-in-1 thing, then perhaps start with the sensitive skin formula, because it is bound to be less aggressive, overall. The men’s washes themselves go on nicely, and the scent – which is a minty, fresh scent, by the way – stays with you for a long while. It certainly is a significantly more “manly” scent than the one which the other body washes carry. For those men who might not necessarily use an aftershave or other scent, this masculine touch is important. 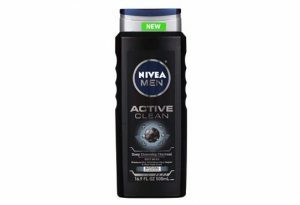 Nivea’s Charcoal Body Wash is geared towards men, though it’s not necessarily just for guys. The scent isn’t overpoweringly masculine, and anyone can use it, really. It’s not the kind of fragrance that can be smelled from miles away. If you’re within arm’s reach, you may be able to pick up a whiff of it, and it’s not unpleasant in any way (unless you use a ton of it, which isn’t recommended). This is a strong formula, and whether or not the charcoal plays a part – it gets the job done, and it does it well. Charcoal can do a lot to get things (and people) clean, and has the potential to be an effective body wash. Activated charcoal penetrates deep into the skin to really cleanse it from the inside out. With that being said, because of it’s effectiveness at removing impurities it also has the potential to over-dry your skin. A little of this wash goes a long way, so you don’t need to use too much of it at a time. 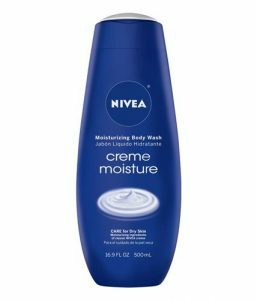 Nivea Creme Moisture body wash. Specifically marketed for those of us with dry skin, the creme moisture body wash by Nivea utilizes the very same ingredients as those found in Nivea’s original creme which was produced in 1911, came in a tin, and which made the company a household name. The unique scent will certainly give you a throwback, if you are familiar with Nivea’s original product. 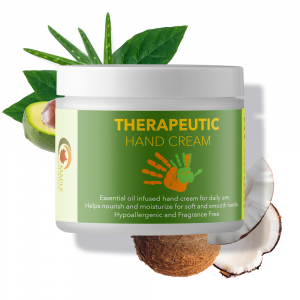 But even if you’re not, and are simply using this to combat dry skin throughout the day, you will probably find it to be really great and highly dependable, just like countless souls before you. 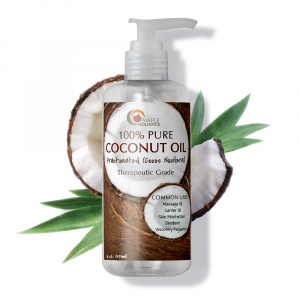 The cleaning agents in this body wash are very mild yet effective, and the wash itself leaves your skin feeling soft, by applying a healthy amount of moisture. This is probably down to the presence of provitamin B5 which has the ability to work as a humectant. That means that this wash attracts moisture to the skin and simultaneously moisturize the skin from within. 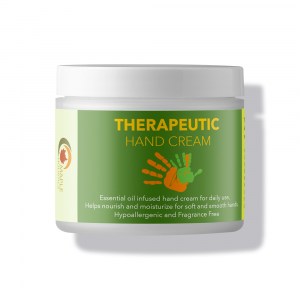 Essentially, it’s exactly what you need to heal your dry, rough skin from the inside out. At first, years ago, I didn’t get it. “What’s the real difference between hand soap and body wash, anyway? Why don’t I just use hand soap on my whole body?”, I’d think. But as I grew a bit older, I understood the significance of a product which targets your body as a whole. Sure, you could simply use ordinary hand soap on your entire body, and hey, in some cases it may even get the job done. That is, it will get you clean. But will it provide you with a refreshed and vita sort of feeling when you step out of the shower? Most likely not. Will it have the right balance of pH needed for the body? Probably not. This is where body wash comes in, and that is its main qualification. It cleans, it softens, and it moisturizes while leaving you and your skin feeling awake and refreshed. It’s not just for use in the morning, obviously, but in my experience there’s nothing like it for your morning shower. As for Nivea’s line of body washes – it’s seriously great, and one that you’ll keep on using once you’ve settled on your wash of choice.